(This article is now being prepared) VEGGIE can support a variety of experiments used to determine how plants sense and respond to gravity. The plants will be harvested for further investigation and consumed by the crew members. VEGGIE’s growth volume will be the largest volume available for plant growth on ISS. 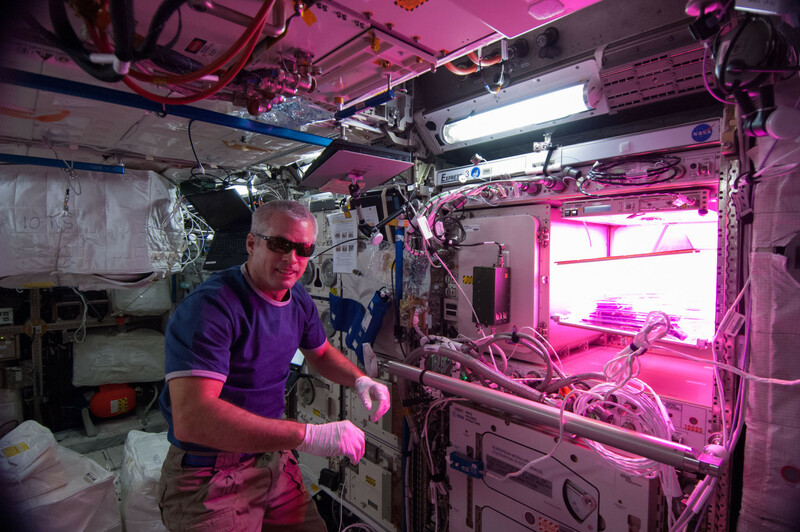 This will enable growth of larger plants that were previously not grown on ISS due to size restrictions. Additionally, the large, adjustable LED light bank makes VEGGIE an ideal facility for other experiments requiring a temporary light source. As with all basic research, an improved understanding of plant growth and development has important implications for improving plant production on Earth.